On the occasion of Franui’s 20th anniversary we happily retrace the paths of bygone days and proudly present col legno’s first vinyl release in decades, so as to be able to transfer the analog directness and atmosphere of these beautiful tunes straight to your home. 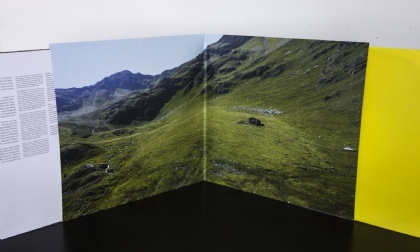 The title of the LP (which includes a gatefold cover, a poster and a text about the Musicbanda written by their friend Sven-Eric Bechtolf) refers to the mountain pasture in the East Tyrolean Villgraten valley after which Franui were named. 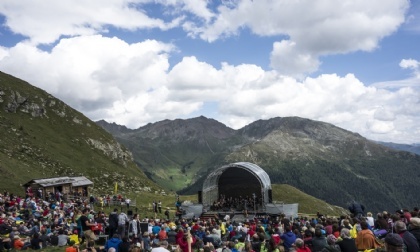 Franui is the name of a mountain pasture in Innervillgraten /Austria, a small East Tyrolean village located 1,402 meters above sea level where most of the Franui musicians grew up. The word is of Rhaeto-Romanic origin and refers to the proximity of Innervillgraten to the Ladin-speaking region in the Dolomite Alps. The Musicbanda of the same name have been playing together in nearly the same line-up since 1993 and are frequently invited to perform at major festivals and venues (e. g. Wiener Festwochen, Burgtheater Wien, Salzburg Festival, Bregenzer Festspiele, Ruhrtriennale, Radialsystem V Berlin, Philharmonie and Grand Théatre Luxembourg, Les Nuits de Fourvière Lyon, Tiroler Festspiele Erl, KunstFestSpiele Herrenhausen, Ludwigsburger Schlossfestspiele, Schauspielhaus Hamburg, Theater Basel, Philharmonie Köln, Holland Festival). The song-play “Steine und Herzen” (Ruhrtriennale 2005) was the first joint production between Franui and the actor and director Sven-Eric Bechtolf, marking the beginning of an intense collaboration, with Bechtolf regularly performing with the Musicbanda as a reciter. In addition to their concerts Franui have also realized a number of music theater productions over the years. Most recently: “Fool of Love,” a compilation of Shakespeare sonnets realized in collaboration with the singer and pianist Karsten Riedel (Burgtheater Wien, directed by Matthias Hartmann and Michael Schachermaier); “Meine Bienen. Eine Schneise” (Salzburg Festival 2012, directed by Nicolas Liautard, libretto: Händl Klaus). 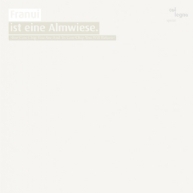 Franui’s CDs are released with the label col legno and have won several prizes (German Record Critics’ Award, Ö1 Pasticcio Award, Toblacher Komponierhäuschen). In May 2012 the “Schubertlieder,” “Brahms Volkslieder” and “Mahlerlieder” were released in a 3-CD box edition. The CD “Fool of Love,” featuring Karsten Riedel and Franui’s interpretations of Shakespeare sonnets, was released in September 2012. The Vinyl edition is also available as a download! You can redeem the voucher for the mp3-files from the LP-booklet at the end of the ordering process. The music is also available in 24bit flac format! Choose the lossless high-quality format in the download area. Franui transfer the essential spirit of Schubert to the 21st century: "Music to make your knees weaken," praised the Berliner Zeitung.